Cycle ride out alongside North Western motorway from the Te Atatu Peninsula. 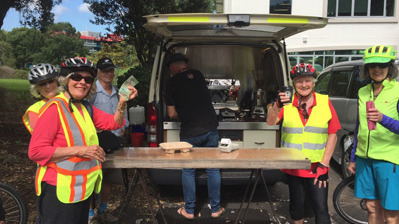 Coffee time is the usual liquid stop at the end of every ride. 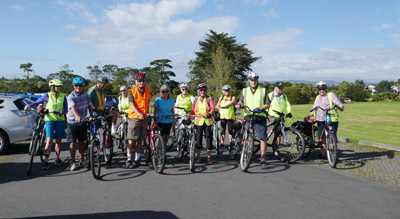 Beautiful day and 10 people rode the 36 km from Waihi to Krangehake Gorge and back. Cycling Group on the . . .